Donald Trump sent out a tweet on Wednesday that seems to suggest that the President believes the stock market is either a person, or that it can be controlled by someone in a way that makes it rise or fall on a whim. 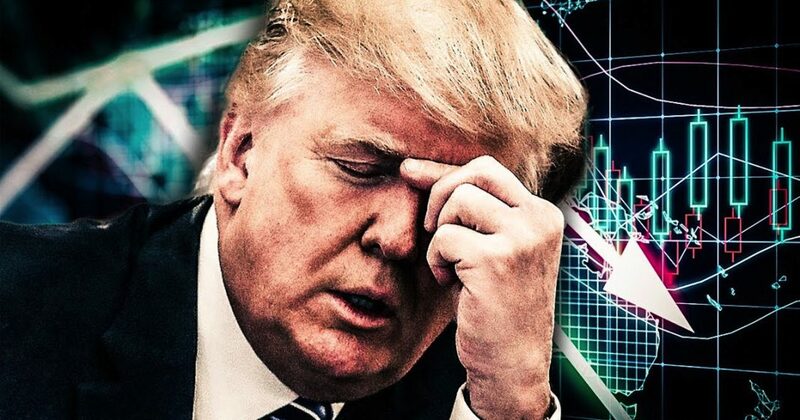 The President warned the “stock market” that falling over a thousand points earlier this week was a “big mistake.” Ring of Fire’s Farron Cousins attempts to decipher Trump’s incoherent ramblings. Big mistake is what I want to talk about. Donald Trump just told the stock market, an intangible thing that it made a big mistake. Now I’m hoping that he is referring to investors and traders that they somehow made a big mistake because if he honestly believes that this intangible market made a big mistake, then this guy is even crazier than we think. Does he believe that there is like one guy standing at the stock market at a big lever that says either up or down on either side and he just flips it whenever he feels like it? Because that’s not how it works. The stock market doesn’t necessarily make a mistake because it’s not a real thing. Human beings make mistake and furthermore, when you say that when good news is reported the stock market goes, yeah, typically that’s true but if you’ve ever talked to investors, people who understand the stock market, people who work there, they follow politics incredibly closely. In fact, a hell of a lot more closely than a lot of people in the political business because they understand that the tiniest word from the president of from a leader in the House of Representatives can have a disastrous effect on the market overall. Spend some time talking to one of those guys. They’ll explain it to you. If they see something on the horizon, than maybe the average people don’t see, that’s going to result in them maybe shorting, maybe pulling money out of somewhere, putting it someplace else a little safe. And that’s likely what happened during this recent mini crash. The Nunes memo was supposed to take down the opposition party and benefit the majority party which typically would have resulted in the market gaining big. But the Nunes memo did just the opposite. The FBI text messages from Page and Struck didn’t land very well. The market reacted because they understand that the narrative being created by Republicans is falling apart. The only big mistake that has been made was electing Donald Trump president because no matter how high the stock market gets and if it rebounds, which it looks like it is, it’s going to happen again. We’re going to have another big crash. A lot of people are going to lose money. A lot of wealthy people I should say because most average Americans, about half of them have absolutely nothing whatsoever in the stock markets so that doesn’t necessarily affect us. But, if Donald Trump doesn’t think that every single aspect of his presidency affects that market then he’s clearly not as good of a businessman as he had been telling us for several years.